Email a Gift Card to a friend Email a gift card with a personal message to a friend. The email is delivered instantly. Email a printable Gift Card to yourself Print out a gift card with personal message to give to a friend. 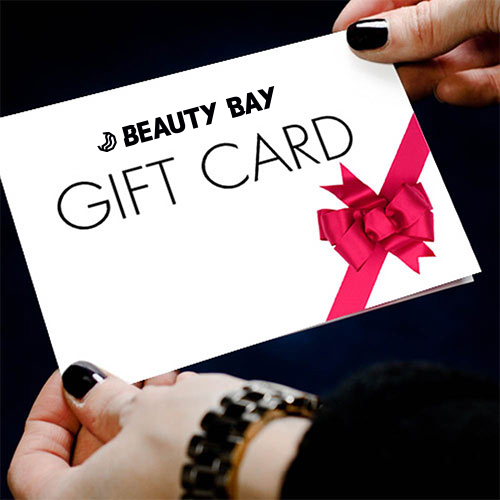 Available in a value of your choice, the BEAUTY BAY gift card can be emailed to the giver and printed out as a foldable card or emailed directly to the receiver so they can hand-pick their favourite beauty must-haves. The ultimate gift for any beauty junkie, our gift cards can be used in conjunction with other methods of payment and more than one can be added to your account at any one time. 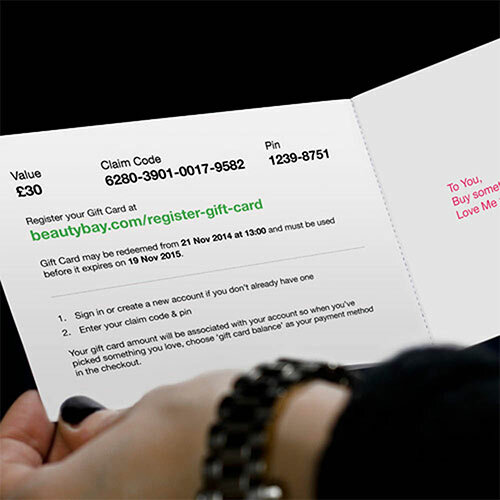 Redeemable against anything on BEAUTY BAY, our virtual gift cards are delivered instantly to your inbox and can even include a personalised message, making this an ideal personal and versatile beauty gift. 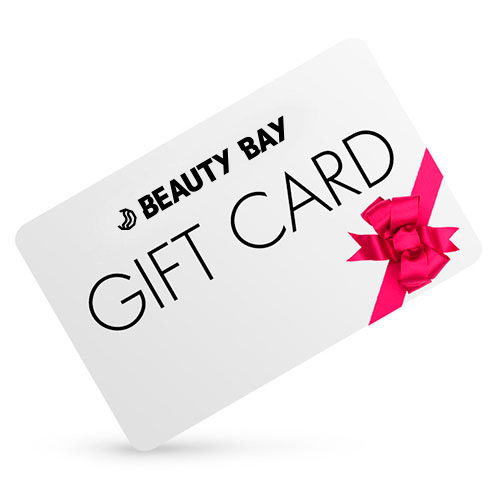 Please note: Although delivered instantly, the BEAUTY BAY Gift Card can only be redeemed after 48 hours from when it is registered. You will receive your Gift Card instantly after purchase via the delivery method you specify. It will take 48 hours after you register the gift card, before the Card can be used against a purchase. This is an anti fraud measure. Please note that gift cards are sold in GBP. If purchasing in a different currency, your Gift Card balance is subject to exchange rate fluctuations between purchase and redemption. Currently Gift Cards can only be sent via email and must be redeemed within 12 months of their purchase date. For full terms and conditions regarding gift cards please visit Terms and Conditions. If you have any questions regarding gift cards please visit the FAQs section. For further support contact customer services.